I haven’t shared any of my houseplant flower photos in a while, so let’s rectify that! 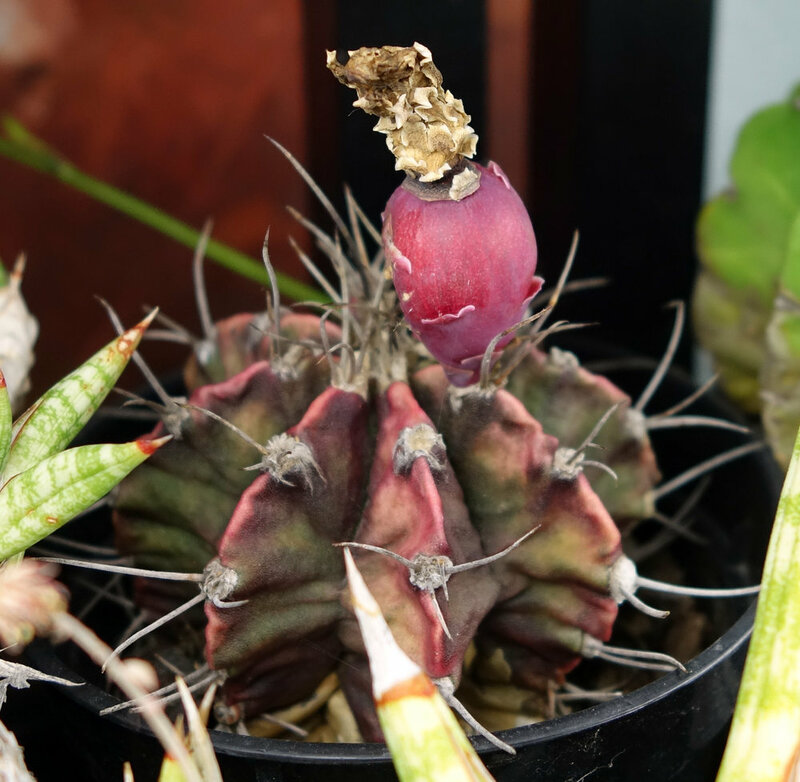 Here we have, in order from left to right and top to bottom: Ariocarpus trigonus, Epiphyllum monstrosa ‘Curly Locks’ in fruit, Sansevieria cylindrica, Sinningia cardinalis, Huernia verekeri, Mammillaria plumosa, Pleiospilos nelii ‘Royal Flush’, Mammillaria schiedeana, Dischidia platyphylla, my most loyal Saintpaulia spp. 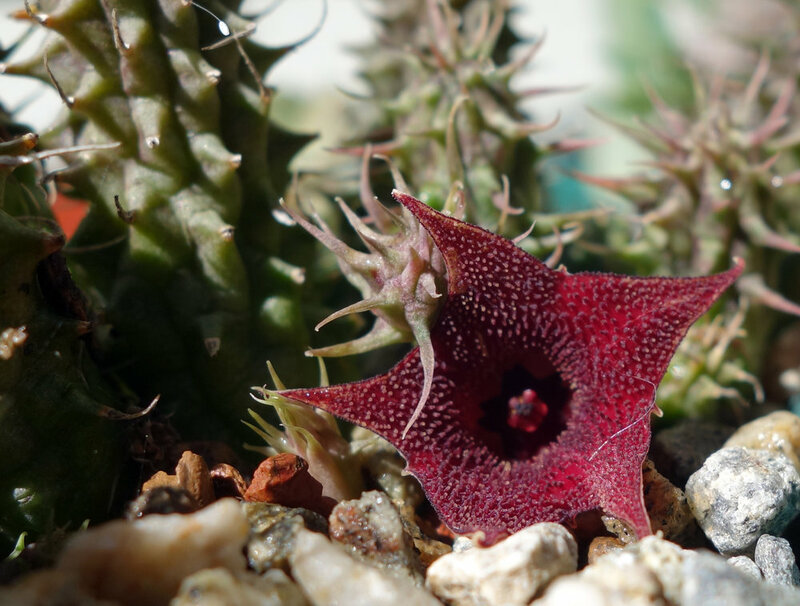 (acquired without ID from a botanical garden associates sale), an area shot of several Saintpaulia spp. and a Phalaenopsis orchid in bloom, and a Euphorbia francoisii. Here are the photos from the final month of 2017! We've got fewer flowers for sure this December - just this Copiapoa hypogaea, Gymnocalycium pfanzii var albipulpa, Sansevieria cylindrica, and Sansevieria phillipsiae, respectively. This fruit on my Gymnocalycium mihanovichii has also been around since at least November, but it really started becoming eye-catching in December. It is now in the process of drying out.